Journalist Kazım Canlan, the Ankara editor of the Cihan news agency before it was shut down, has been sentenced to 7.5 years in jail. In pre-trial detention in an Ankara prison on charges of membership to a terror group for months now, Canlan appeared before the court via teleconference system for his final hearing earlier this month. Canlan is accused of having used ByLock mobile app and Bank Asya accounts for his banking transactions. 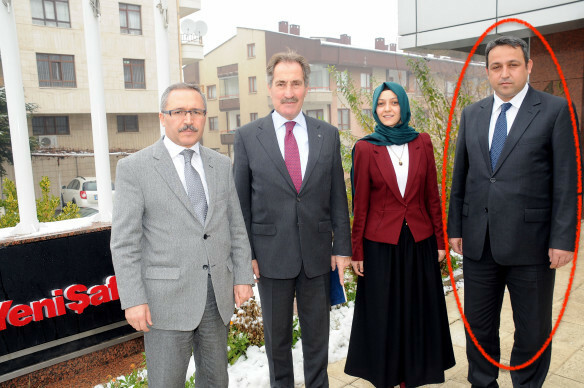 The government sees the two as an evidence of links to the Gulen movement. The court overseeing his case sentenced Canlan to 7.5 years in prison. Turkish government blames Gulenists for the July 15, 2016 failed coup while the latter denies involvement. Cihan news agency is among dozens of media outlets closed over Gulen links as part of the government’s post-coup crackdown.